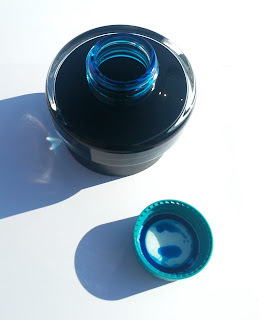 As with almost every ink I buy, I heard a lot of good things about it from other bloggers! And as I am a big fan of Lamy pens, I thought I'd give this ink a go! And it definitely lived up to my expectations! 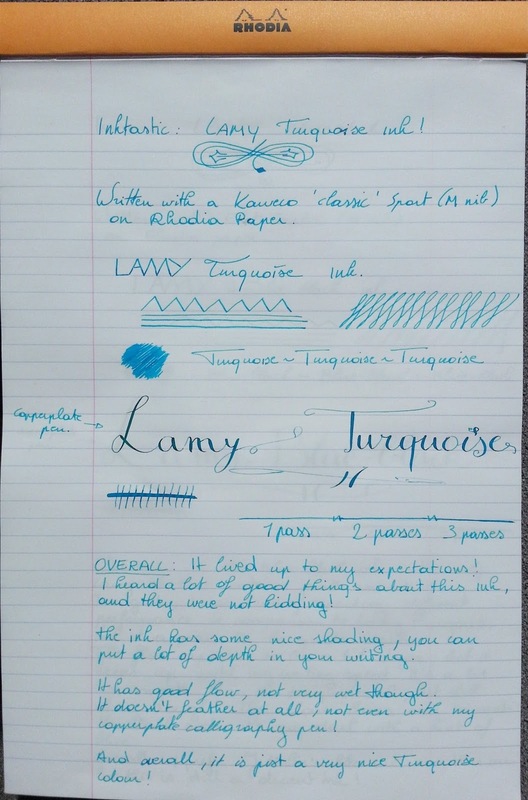 It's hard to explain why though, but to me it just seems like it would be the ideal standard for a Turquoise ink. And I have a few good reasons to say that! The first reason is the brilliant, yet stylish packaging: On the outside, a clean, simple cardboard box, nothing special. But inside the box, you'll find one of the most user-friendly ink bottles ever! 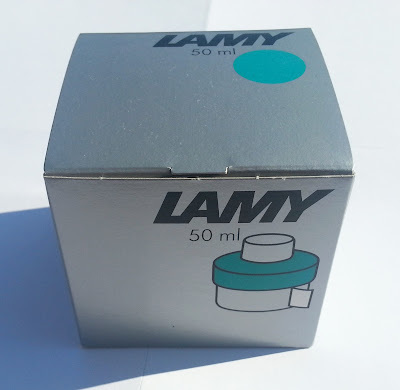 It has a good (50ml/ 1.7 fl. oz) capacity, a filling reservoir that makes it possible to use every single drop of ink (or at least almost everything!) And last but not least: it has a blotting paper reservoir at the bottom of the bottle! So when you are done filling up the pen, you can clean off excess ink with a piece of blotting paper! 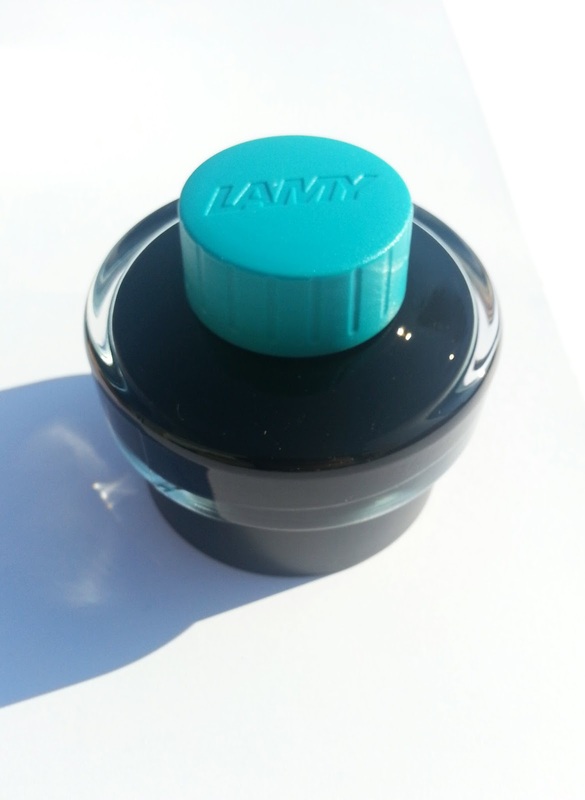 The ink has very decent properties, it has a good flow, it dries fast. It has a bit of shading, though not very much. And it also writes very smooth, almost as smooth as the Edelstein inks! And surprisingly, it is also very cheap, at about 7 Euros/ 10 USDollars per bottle!